Anyway, due to unforeseen circumstances, I was torn away from my laptop for over a year, and during that time, I completely forgot all about EoFF. It's not that I didn't care for it, during my time as Balthier Rocks I made a few friends, and I like to think vaguely recognisable as a member. But it just wasn't an indelible part of my life. And that's a good thing. No one wants to be severely depressed for not posting in a internet forum for a while, and if you do, then you need some serious help. 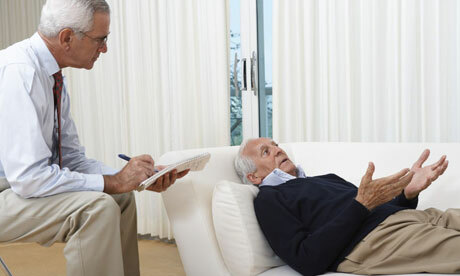 "Well doctor, I just couldn't cope after my WOW subscription ended. I was heartbroken"
The thing is, is that while EoFF and other internet pages are not necessary for a wholesome and full life, it certainly helps. Human beings require social interaction; hell, we go nuts if we haven't spoken to people for even a few hours. All of this goes to explain why people go here. No one is forced to, but it really helps us interact with friends. "But Formalhaut!" I hear you say. "Shouldn't we be talking to people in real life, rather than through a screen!" You have a good point. In today's society, we have been disconnected with everyday contact. We text, call, look of EoFF. Everything we do today has something to do with technology. And it's so easy to misinterpret these electronic messages. As this cracked article writes, context gets lost. Me: Hey, do you want me to bring over that leftover chili I made? According to the author, his friend often used "No, Thank you" when being ironic or sarcastic. His friend, as it turns out, had no room in his fridge. At this point, you might be disheartened with the internet, but actually, on occasion, it can prove incredibly loving. The EoFF poster competition is proof of this. Our EoFF family is a special family. We really care for each other. Just take a gander at the poster thread I mentioned above. Look at all the happy faces! So what does it mean to be a EoFFer? Do I need EoFF in my life? Truthfully, no I don't, but then that's like saying I don't need meat in my life. I could be a vegetarian, but then I miss out on steak. And life just isn't worth living without steak. Yeah, I'm comparing EoFF to a steak. "This is the air I breathe! You don't understand!!" For quite some time, (#)eoff was pretty much the only form of social interaction I had. Social isolation will take its toll on you mentally so any form of contact with other people helps out. It may have left me with a couple more screws loose in my head, but it may have saved my mind from falling apart. For me kotora, EoFF is my little community where everyone is friendly and happy, most of the time. That's good enough for me. besides, you also get free posters if your lucky! I just wanted to say that I actually liked your former name of "Balthier Rocks" It may have been awful, but it's actually pretty neat. I hope you decide to return to it, but I feel you probably won't. there's something about eoff that keeps you here. it can't be good. It's the fact that we have a community built up of people like you, who truly appreciate the rest of the members on here, that make it such a fantastic place to be. I won't be leaving! can I clarify that my comment wasn't an insult? that didn't sound very good. ugh. Incidentally, my roomate was playing this when I was reading this.